Friday 12th July and Friday 13th September – these were sell out events in 2018! 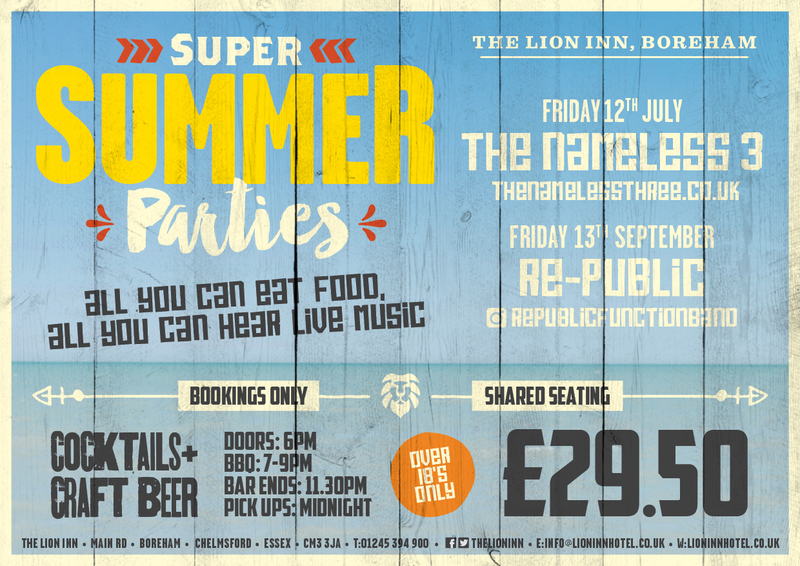 Great live music will be provided by The Nameless 3 (who are returning to thrill everyone again) in July and Re-public in September who will get your party going in style. We’re well known for the quality of our food and you can be sure you will be spoilt for choice on these evenings. Ticket price includes ‘all you can eat’ during food service but doesn’t include drinks! Tickets are £29.50 per person. 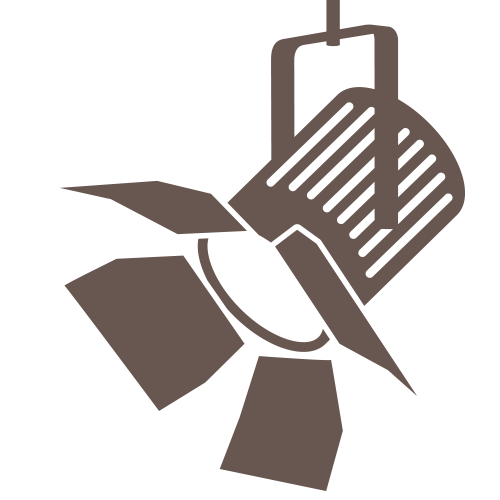 Payable in full on booking – we’re sorry but we can’t make refunds once payment is made. The Comedy Club is back! Now showing at The Lion House. Thursday Nights out in Essex will never be the same again! Amazing art deco bar, beautiful new private dining room, event space for up to 200 people and outside piazza, we know you’re going to love it. 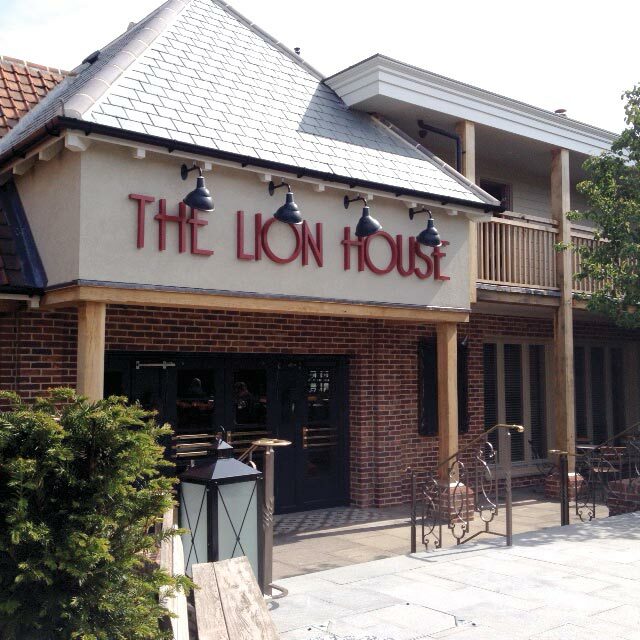 Visit The Lion House page for more information, or Contact us to book your event.